Southern California artist Paul Ecke usually expresses his dreams and deepest feelings through painting. However, he instead turned to the written word to tell the full tale of his challenges, struggles and victories through a complicated life. Actor and screenwriter Jacob Kyle Young just penned an agreement to turn Paul Ecke’s book, Boy Dreamer: An Artist’s Memoir of Identity, Awakening, and Beating the Odds into screenplay for 2020 production. 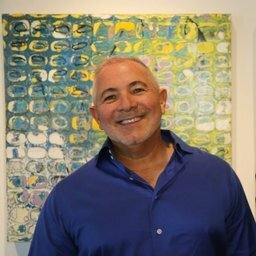 “Every painting unravels a story,” says local artist and Black Iris co-founder Paul Ecke, whose works, mostly abstract paintings, are displayed in high-end galleries all over the world. Paul Ecke expresses himself through his art. One of this painter and sculptor’s many gifts is the ability to find the beauty in everything — even a devastating cancer diagnosis. 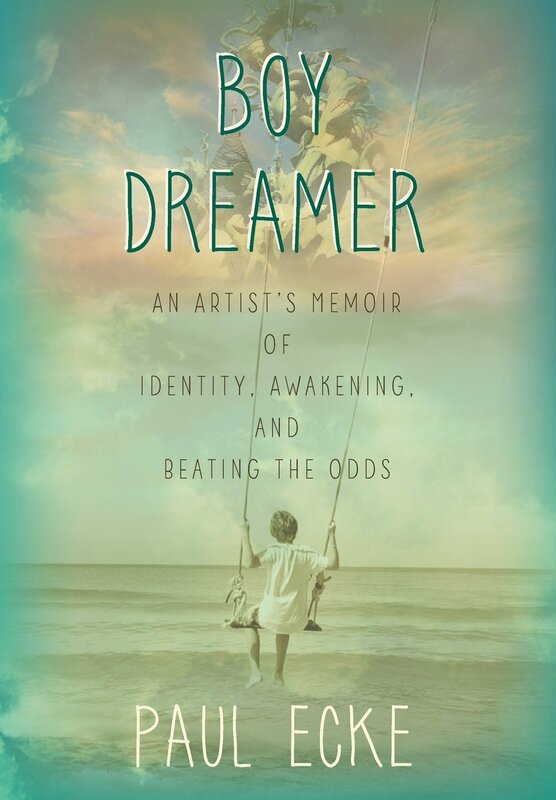 Author and Artist, Paul Ecke will be interviewed on his new book “BOY DREAMER: An Artist’s Memoir of Identity, Awakening and Beating the Odds” and his upcoming art show at California Fine Arts, La Jolla, CA. Paul Ecke will be signing his new book: “BOY DREAMER: An Artist’s Memoir of Identity, Awakening and Beating the Odds”. The artist’s inspirational story was just selected to be written as a screenplay penned by Jacob Kyle Young for 2020 production of a feature film. Enjoy a retrospective collection of Ecke’s artwork. Books will be available for sale at the event. A portion of the proceeds of all art and book sales will be donated to Orangewood Foundation, a nonprot provider of services to foster youth. SEArtists is a division of SEAthletes, and partners with artists and the Salton Sea community to bring awareness to the sea and to be mindful of California’s largest body of water. For every one friend we can reach through sharing art on the sea, we will be able to increase passionate Salton Sea advocates tenfold. If we translate our passion into purpose, and purpose into action, we will be able to improve the Salton Sea community and ultimately the longevity of the sea. The Contemporary Fine Arts Gallery is our premier fine art gallery featuring Paintings, Sculpture and Limited Edition works from Internationally acclaimed artists. Located in Downtown La Jolla, we offer assistance in finding, acquiring and even hanging the perfect art for your home or business. SEArtists is proud to announce the premiere of the Salton Sea Art Show is an official Modernism Week event. The opening, Friday February 12, 2016, will kick of SEAthletes NSX weekend event at the North Shore Beach & Yacht Club. Tickets will go on sale 11/1/15. To discover all the event details visit www.seartists.org/#focus. Join us for a Party at the Yacht Club. Denver—Water. Rising sea levels, tales of drought and increasing scarcity, discussions around its rights, its uses, its increasingly critical role as a global currency: Water is a critical planetary issue that’s very much front and center for those of us in Colorado. And now, it’s the subject of an evocative and thought-provoking new exhibition at Denver’s Space Gallery. Confluence, featuring works by Tyler Aiello, Monica Aiello, Betsy Stewart and Paul Ecke, examines the subject of water—not in an overtly political way, but rather as a way to fuse creativity with our conscious awareness of the subject matter. In Confluence, the artists employ unexpected shapes, colors and media to suggest the presence of water, our involvement with it and, by implication, the considerations that accompany it. The exhibit runs through October 17th at Space Gallery, 400 Santa Fe Drive, the southernmost anchor of Denver’s thriving Santa Fe Arts District. paintings that are an amalgam of color, texture and movement achieved through application of oil and acrylic paints, all applied by brush, hand and even trowel. In this body of work, which consists of his well known industrial paintings and also newly developed waterfall series, the artist has experimented with reclaimed materials paired with digital media to tell a comprehensive narrative about the connections between humans and industry. Deep within each of his works is the concept of the vast connectiveness between us as a global population and our own personal inner spiritual dialogue. These works have brought Ecke back to his earlier influences where the artist exemplifies his original techniques of constructing and deconstructing a composition so that the work is self evident. For many of his new works, Ecke has enjoyed utilizing resin paired with mixed media techniques to create a unified marriage between the technological and traditional approaches to art making. Paul Ecke has been a full-time contributor to the contemporary art world since 1985. His works are in the collections of the University of Michigan Museum of Art, Michigan , De Saisset Museum of Art, Santa Clara, Crocker Museum of Art, Sacramento and Chapman University, Orange. For more information on the artist, please visit www.paulecke.com. Paul Ecke’s newest works encompass the nuances of the word conversations. A conversation in its purest sense is the ideal form of communication because it allows for the element of dialogue to enter where dissimilar points of view can be raised and engaged upon. For a successful conversation, there must a sense of balance and mutually interesting connections. Here is where Ecke’s newest series excels in its complexity. Where his “Fractals” suite emphasized the power of singular thought placed into the form of prayer, “Conversations” delves into the richness of dialogue with others and oneself. This has been a very personal journey for Ecke, as he has had to confront illness this past year. This path has allowed him to touch a more empathetic and patient part of himself. Each painting is titled conversation as one is not more important than the others nor is there a beginning or end. Instead Ecke asks the viewer to walk along his path where sometimes in the quiet moments of waiting, which he inscribes on many of the works, he finds answers greater than himself. The childlike drawings impart a sense of whimsy and playfulness but on a deeper more intuitive level these show the psychological affect that sickness has not only on the body but also on one’s spirit. Ecke travels back to a child’s interpretation of safety with the entrance of the circle. The form becomes a symbol of unity, completeness and wellness. In many ways it harkens back to the comfort of the womb and the safety of a mother’s caressing arms. Throughout the works there is the element of words. It is through language that man separates himself from the animal kingdom. Words can harm and at the same time words can also create. In breaking down the letters and then building them up again, Ecke breathes new life and a new beginning into these letters. He asks us to question not only outwardly for meaning but inwardly. For only in understanding ourselves can we grasp the universe beyond. And in coming to the beauty within then can we bring wholeness and kindness to others.